Even the most ardent fans of Attaullah Khan Eesakhelvi will often under-estimate his importance in the history of Pakistan music. 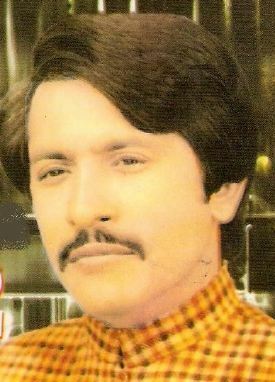 The importance of the Eesakhailvi phenomenon goes well beyond his songs and was central in literally changing the face of Pakistani music. Music has always had a central place at ATP. We have featured Shoaib Mansoor’s Anarkali, Sohail Rana’s tunes, Masood Rana’s tangay walla khair mangda, songs filmed on Waheed Murad, Runa Laila’s songs, Mehdi Hassan’s milli naghmay, the timeless melodies of Madam Noor Jahan, the qawallis of the Sabri Brothers and Aziz Mian, and more contemporary fare from Junoon, Rabbi Shergill, Rahim Shah, Strings, Jazz renditions based on Nusrat Fateh Ali Khan, and the multiple renditions of Bulleh Shah. But from the very beginning I knew that I had to do a post on Eesakhailvi. And not just because I have been a huge fan of his; also because I think that even his fans do not appreciate the impact he had in launching the ‘cassette revolution’ in Pakistan. There is rather little information on Attaullah on the Internet (Although since we originally wrote this post a wonderful fan site has been established). At one level this is rather surprising. At another level, this is typical for Attaullah Eesakhailvi. Much of his personal life is shrouded in mystery; and myth. There have always been stories about how his music was as soulful as it was because his true love had been married to another man, that he had gone back and killed that man, landed in jail, and there – in grief and in memory – he had begun to sing. The story is nearly certainly not true. Although I suspect that there must have been a true love once. Later, much later, he did marry – a ‘lady doctor’ is I recall – and for many diehard fans, that was what marked the end of the ‘real’ Eesakhailvi. But what I do know about him is as fantastic as this story. He became a sensation in the 1980s well before anyone heard him on television, film or radio. And that, back then, was unheard of. To become a ‘star’ you had to go through the music ‘establishment’ which was TV, film and radio, along with the music directors, poets, and producers. The way Attaullah Eesakhelvi by-passed the music establishment was by heralding a cassette revolution in Pakistan. Recall that the 1980s was also when many of Pakistan’s rural poor found their way to ‘Dubai’ (i.e., the Middle East). Amongst the first things their new affluence brought for their loved ones in Pakistan were cassette recorders; around the same time, automobiles in Pakistan – especially including busses and trucks – started sporting cassette players. In short, the technological basis for the cassette revolution was now in place. TV, film and radio could no longer serve as ‘gate-keepers’ for musicians; and Attaullah Eesakhelvi was the very first to capitalize on this revolution. He became a sensation not because someone in the music establishment ‘discovered’ him but because his cheaply produced and cheaply priced music cassettes (or ‘kaaste’ as the word was sometimes pronounced, at least in parts of the Punjab) became immensely popular amongst bus and truck drivers – which meant that his music was soon traveling far and wide! This was no mean achievement. Not only did he ‘create’ a whole new market, he also gave his huge clientele something that they not only wanted but which would never have passed the scrutiny of the ‘custodians’ of music in Pakistan for whom his talafuz was never really correct and his surs were never really in place. In that assessment, they may well have been correct; but it is also true that in doing what he did he also launched the cassette revolution which would later allow the likes of Nazia and Zohaib Hassan, Munni Begum, Asif Ali, and later Vital Signs to also by-pass the system. Once he became the phenomenon that he did – and once his cassettes migrated from the decks on trucks to those on limousines in Karachi, Lahore and Islamabad – he was embraced by the system. He became a regular on TV and in concerts (but only quite late in his career). However, there was never a place for him on Radio till much later – he did not fit any ‘genre’; his was not ghazal, not geet, not milli naghma, and not folk music in the traditional sense either. It was honest popular music – but not ‘pop’ music since so much of it was in Seraiki. And so he had to wait until Radio was ready for him. Some would argue that his acceptance by the ‘system’ was not good for his music. He now had to conform to the 8 minute slot, he began singing more in Urdu, he started depending on other for the music as well as the words in his songs, he worked hard (too hard) on becoming mainstream. But in doing so the very edge that had made him a phenomenon began to disappear. His sound had been the sound of the rebel – and as a rebel it did not matter if his rustic tones were slightly harsh, slightly out of tune, and slightly angry. Once embraced by the system it becomes a little difficult to remain the rebel. That is why, for some of us, the taming of the rebel was not entirely a good thing; even though it opened up his work for ever wider audiences. Here, for old times sake, are five wonderful songs Atta Ullah Khan Eesakhelvi. The very very popular ‘aye theeva’ (a latter song from the ‘revival’ years). Finally, here is a younger Attaullah singing idhar zindagi ka janaza, in the classic Attaullah style – part qawalli, part ghazal, part bait baazi. Note: This post was originally written and posted in December 2006. I started listening 2 Atta just 2 years back. He z evrythng 4 me nw. His style z unique as z his tragic voice. 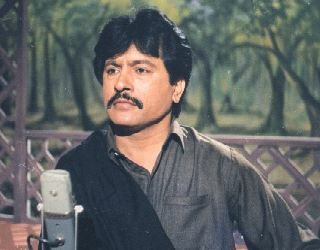 Nw i just wanna meet him once so I can say i hve met da Living Legend Attaullah Khan Essakhelvi.